The Sacramento Memorial Garden (SMG) offers the opportunity to honor your child by purchasing a name engraving on the Sacramento Memorial Garden Remembrance Wall. You can join thousands from across the country who have taken an important step in the healing process. You will be contacted by the Sacramento Memorial Garden staff when your engraving is scheduled. Wall engravings are completed in the Spring and Fall seasons. Would you like us to contact you to provide additional healing resources? 21 characters only, including spaces. From time to time the Board of Directors will review submissions for engraving on the Memorial Wall. The Board retains plenary discretion to approve, modify, or deny applications for proposed engravings and memorial services. We use PayPal as our credit card merchant. You do not have to have a PayPal account to complete your payment. 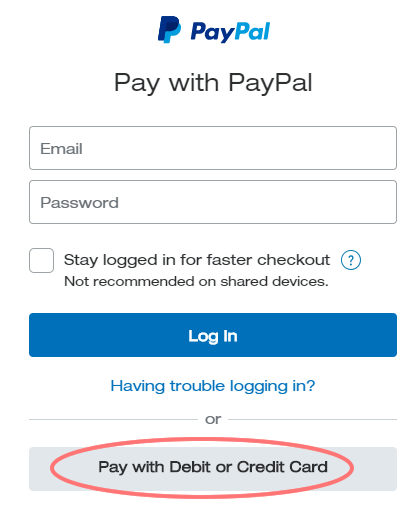 After completing the order form, click the "Go to Payment to Place Order" button and when the PayPal page appears, simply click "Pay with Debit or Credit Card."